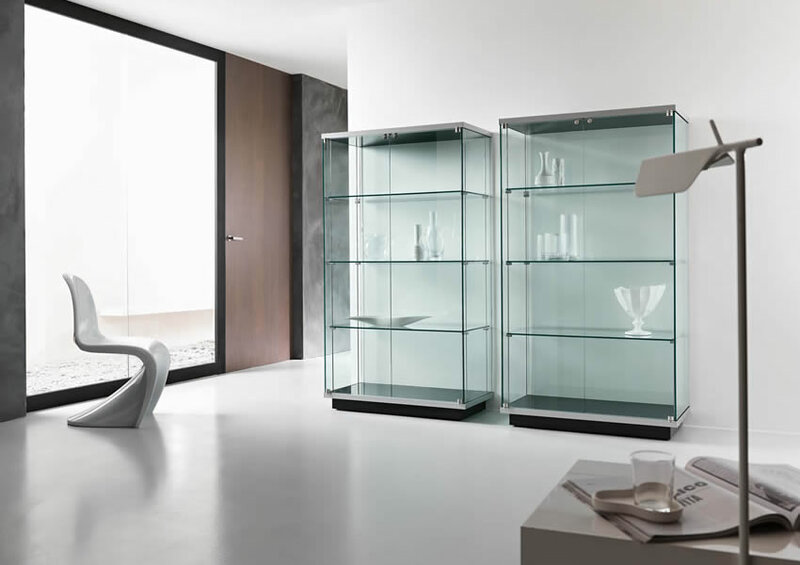 Tempered glass can be used for shelves in display cases or as shelving on wall systems. Glass shelves are a great accent for the kitchen, bedroom, bathroom, and many other places in your home or business. Custom Made Glass Furniture offers custom cut tempered glass shelves, allowing you to get just the look you desire. Maybe you have an achievement to display in the office or finally want to give your sports memorabilia a special place in your den or garage. With custom tempered glass shelves they will have the place they deserve. Custom tempered glass shelves are durable and safe. Give whatever room you chose to put them in, that great look of more space and beautiful depth. Most of the time these shelves have exposed edges, giving you the option of adding another level of detail to better reflect your personal style. Seamed edge comes standard with your order. If the edge is going to show, consider a rounded (pencil) or flat edge, as preferred by many as it gives a more finished look when edges are visible. After choosing whether or not you want a rounded or flat edge, you get to choose between a polish or grind. A polish gives a shiny and glossed finish, while a grind provides a frosted matte finish. This small detail can impact the overall effect you are wanting to create in your space. Sometimes we get clients who have something special in mind for their edges. If you have a custom idea for your edge work, there’s a good chance that we can do that for you too. Give us a call or Click Here and we can make your dream a reality.